Easterseals turns 100 today! Say “Happy Birthday, Easterseals” by joining our goal to create a world that is 100% included and 100% empowered. Celebrate our abilities and differences, and recognize all that we can achieve together! Give a special gift today. No matter what age, disability, or location, Easterseals Massachusetts will find a personalized solution for you and your family. Whether evaluating you in your home or in your local school system, we find a way together. Easterseals Massachusetts is a statewide, community-based organization that helps people with disabilities to live full and independent lives. Our services ensure that children and adults with disabilities have equal opportunities to live, learn, work and play. Since 1919, Easterseals has proudly served children and adults with disabilities so they can live, learn, work and play in our community. We look forward to 100 more years of positive change, here in Massachusetts and in communities around the country. We’ll continue to go the extra mile until every one of us is 100% included and 100% empowered. Join us. The mini loan program has a greater latitude to work with individuals with disabilities to obtain needed technology since all loan decisions are made by the program rather than a banking partner. Durable medical equipment is also considered AT. Easterseals Massachusetts puts on many signature and inclusive community events and fundraisers throughout the year. Find out about a fun event near you! Easterseals Massachusetts has one of the largest selection of programs, services, and expert clinicians, to ensure that all ages and abilities have equal opportunities to learn in any setting. Easterseals Massachusetts is proud to announce a brand new program addressing critical issues such as poverty, unemployment, and lack of benefits. Veteran's Count is the fundraising arm of our essential Veteran's services, which provide critical, timely financial assistance and services when no other resource is available. 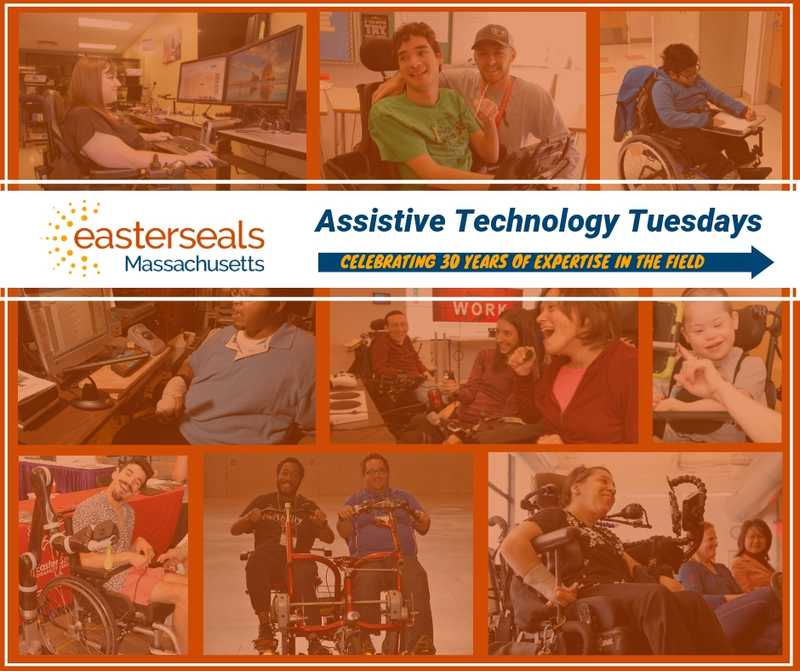 Easterseals MA Augmentative Communication (AAC) Specialists work with individuals with congenital or acquired disabilities who have difficulty using speech for communication. Easterseals Massachusetts focuses on the full potential of every person and is changing the way the world defines and views disability by making profound, positive differences in people’s lives every day. We provide essential programs and services to children and adults with disabilities throughout the state. Our Mission: For 75 years, our mission is simple, yet powerful. Easterseals provides essential services which ensure that children and adults with disabilities have equal opportunities to live, learn, work and play. Our occupational, physical and speech therapists, assistive technology specialists, as well as our youth, employment and transition teams, are experts in their fields and provide services in a wide range of settings. London has approximately 21,000. Boston has 100. But in Worcester, there is only one wheelchair-accessible taxicab, and members of the local disabled community say one is not enough. 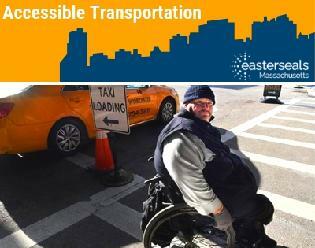 Learn how Easterseals Massachusetts is making accessible transportation a priority for locals. Register for Camp Sno-Mo Today! Easterseals Massachusetts is excited to refer youth to Easterseals New Hampshire who offer camp opportunities to youth with disabilities this summer! Click for more details about the camp and how to register. We are excited to release our 2018 Annual Report to provide a look back on all of the exciting things that have happened at Easterseals MA this past year, as we celebrate our 75th Anniversary. Click to view the full report. Special needs trusts are an important tool for helping people with disabilities remain eligible for government benefits while preserving their personal assets. PLAN of MA and RI administers special needs trusts through an all-inclusive service model. Click to learn more. Registration for the 2019 Disability Film Challenge is open now! It's a weekend-long event that gives filmmakers—with and without disabilities—the opportunity to collaborate to tell unique stories that showcase disability in its many forms. 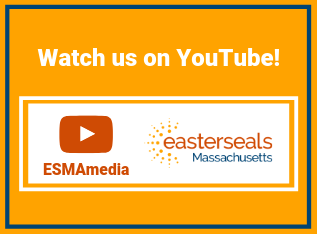 Stay Connected on our YouTube account @ESMAmedia! We love sharing helpful tips, tutorials, and inspiring stories related to disability empowerment and inclusion.